Pope Francis’ provocative statements on criminal law have reopened a heated debate in Italy over the effectiveness and morality of life sentences. 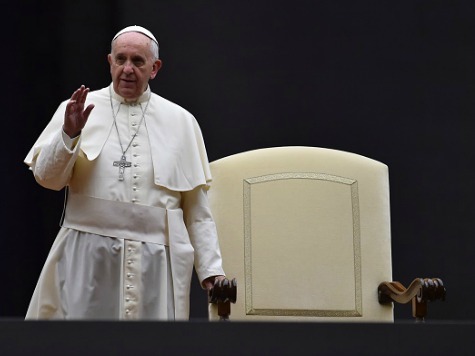 In an address to a delegation of the International Association of Penal Law last Thursday, Pope Francis first called on Christians and people of good will “to fight for the abolition of the death penalty,” and then waded into deeper and more controversial waters. “Life imprisonment is a hidden death sentence,” the Pope said. This comment has sparked heated debate throughout Italy, a country that abolished the death penalty in 1889 (except for its brief restitution under Fascism). In reality, life sentences in Italy are relatively rare, and currently only 1,604 out of some 65,000 inmates–under 3%–are lifers, according to reports Saturday in the Italian newspaper Il Messaggero. Life imprisonment is already illegal in a number of European countries, such as Portugal, Spain, Norway, Poland, and Slovenia, but some, such as Norway, allow for renewal of the penalty if the criminal is judged to still be a danger for society. “I am against the death penalty, but for savage criminals it is just to impose life sentences,” said Senator Carlo Giovanardi, the drafter of a law increasing penalties for drug dealers. “Abolishing it would trivialize the damage done to victims,” he said. Franco Roberti, Italy’s anti-mafia czar, says that life sentences should remain in law, but applied “only in extreme cases.” In fact, he says, “for those who demonstrate that they have been ‘reeducated,’ life imprisonment is regularly commuted.” It is rare, however, “that certain subjects don’t commit further crimes” if released, he said.